Australian hard rockers AIRBOURNE will release “Diamond Cuts” on September 29 via Nettwerk. The box set will be made available in limited-edition vinyl and CD formats, containing the band’s first three discs — “Runnin Wild”, “No Guts. No Glory.” and “Black Dog Barking” — along with the brand new “Diamond Cuts – The B-Sides” collection featuring two previously unavailable tracks (“Money” and “Heavy Weight Lover”) plus a bonus DVD of the brand new band documentary, “It’s All For Rock ‘N’ Roll”, housed in a slipcase box including original “Diamond Cuts” artwork. 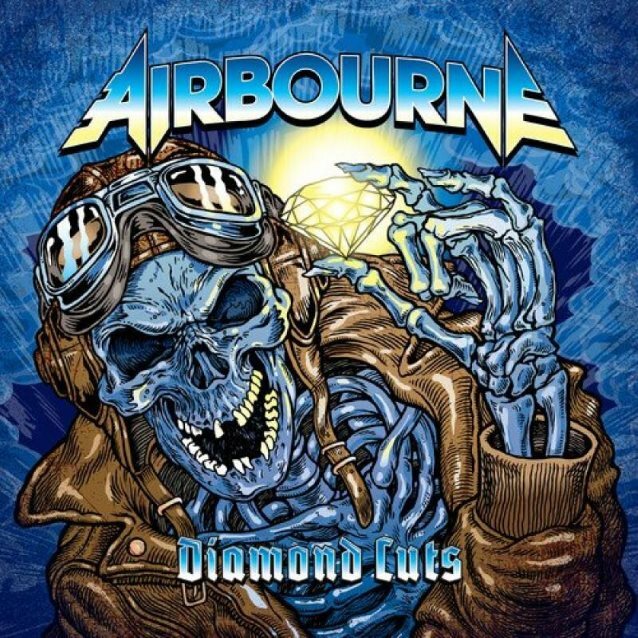 A previously unreleased AIRBOURNE song, “Money”, which is featured on “Diamond Cuts”, can be streamed below. AIRBOURNE in April parted ways with guitarist David Roads and replaced him with Harri Harrison (PALACE OF THE KING). The band’s latest album, “Breakin’ Outta Hell”, landed in the Top 10 in both the U.K. and Australia after its September 2016 release.